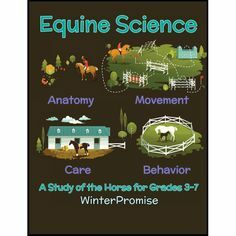 Every time I peek into Winter Promise’s Adventures in the Sea and Sky, I find more lessons and materials that excite me. Currently, I’m captivated by the lessons on the Wright Brothers and flight. Today, we take flight for granted. With enough money, we could readily fly virtually anywhere in the world in less than 24 hours. This was unfathomable until only about 100 years ago and the work of the Wright Brothers. We don’t see very many “firsts” these days, and I can’t help but imagine the thrill when the first flight was achieved. What an amazing moment that must have been! 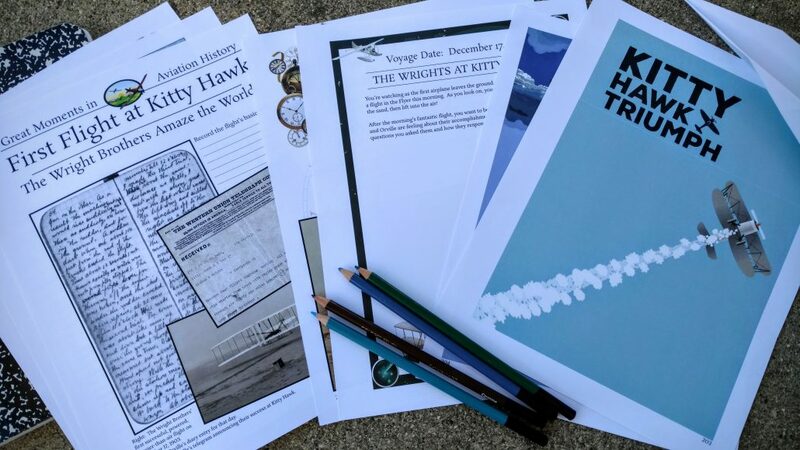 Winter Promise’s Adventures in the Sea and Sky does a masterful job of taking your learner though all aspects of flight from Leonardo da Vinci’s flying machines to modern aircraft, with a good bit of Wright Brothers in between. For this post, I want to share a few sightseeing options related to flight. Obviously, if you happen to be in the vicinity of any of these locations while studying the flight section of Adventures in the Sea and Sky, I highly recommend doing a field trip. 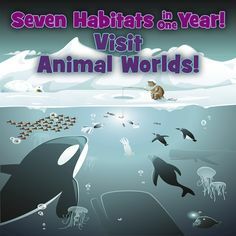 However, any of these locations would be excellent for families to visit any time! 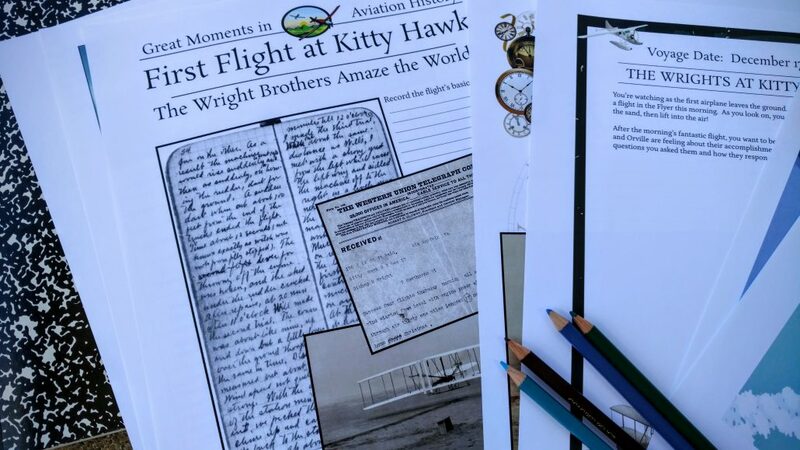 At the memorial, you can see exactly where the first flight took place, tour a small museum, and view a replica of the Wright Brothers’ Kitty Hawk workshop. 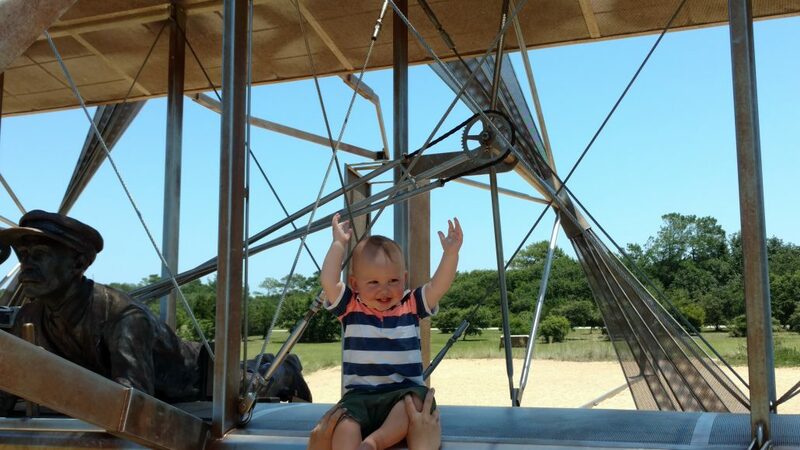 My family and I visited the Wright Brothers National Memorial this summer, and my favorite part, by far, was seeing the locations where the Wright Brothers’ airplane took off and landed. It was easy to imagine being there when it actually happened. 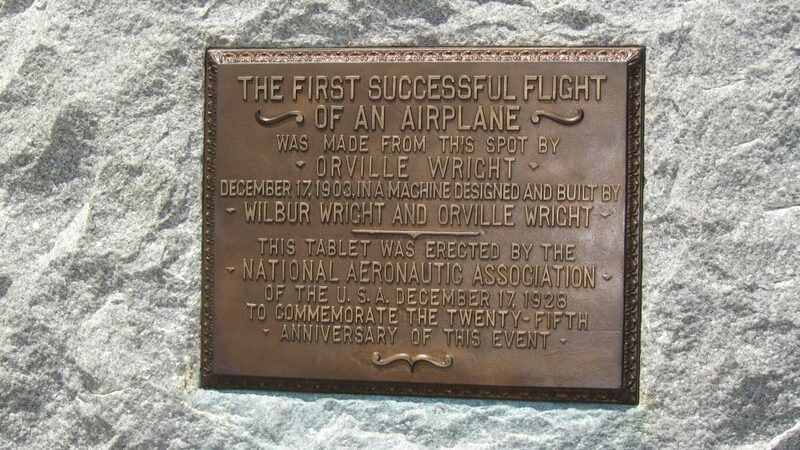 The plaque on the rock indicating where the first flight landed in Kitty Hawk, NC at the Wright Brothers National Memorial. I cannot exaggerate how much I love Greenfield Village. 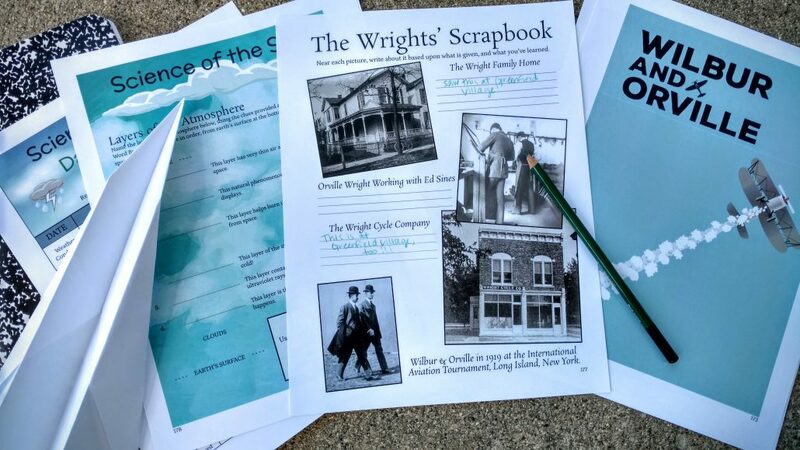 I could go on and on and on about all the great things to see and do there, but if you’re interested in flight, be sure to visit the actual Wright Brothers’ home and bicycle shop that were relocated to Greenfield Village. In the summer, actors portraying Wilbur and Orville Wright perform a short play on the porch of the house reflecting on the first flight. The picture of the home and the cycle shop are the same buildings you can tour at Greenfield Village. Right beside Greenfield Village is the Henry Ford Museum. Greenfield Village isn’t open year-round, so if you happen to be in Dearborn in the winter, you’ll have to skip the village and just visit the Henry Ford Museum. Luckily, the museum has a tremendous aviation exhibit called Heroes of the Sky, featuring actual historic planes and a replica of the Wright flyer. Located next to Wright-Patterson Air Force Base, the National Museum of the USAF is one of the largest collections of aircraft. It features over 360 historical aircraft and missiles. I had the great privilege of getting a tour of the museum from my late grandfather, who served in the USAF. This is a must see for anyone fascinated by flight, particularly as it relates to wartime aviation. Of all the places on this list, this is the one I have not personally visited. Not yet. The Air Zoo is an aviation museum and amusement park all-in-one. Once my son gets a little older, we will be sure to visit. Like I said, I haven’t been there, so be sure to check out their website to learn more. Thanks for stopping by the blog, and be sure to let us know if you’ve visited any of these locations or plan to visit. 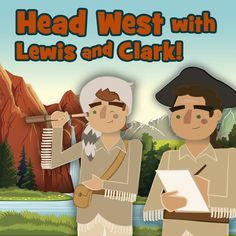 We’d love to hear about your adventures! 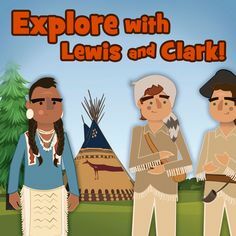 Also, check out all the Adventures in the Sea and Sky themed curriculum here. Reason #1 to Eat Greek: The taste. Greek food is insanely scrumptious. The combination of fresh ingredients with unique flavors will surprise and delight you! Reason #2 to Eat Greek: The Olympics. 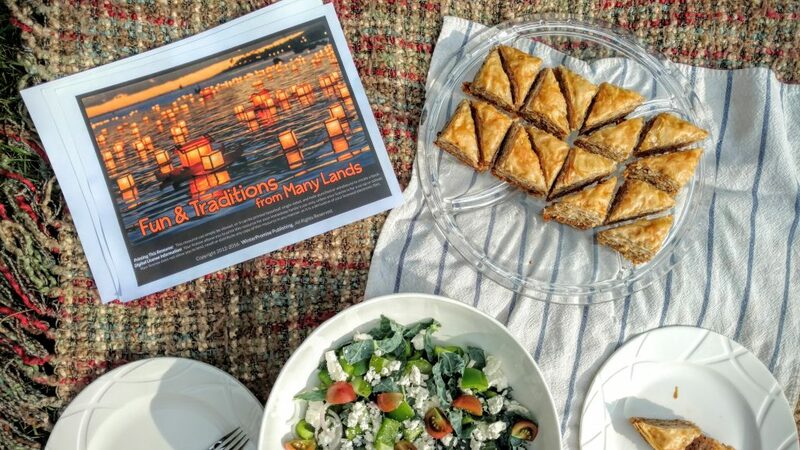 I can’t think of a better way to celebrate and learn about the ancient Olympic Games, than by watching the 2016 Summer Olympics while enjoying a traditional Greek feast. 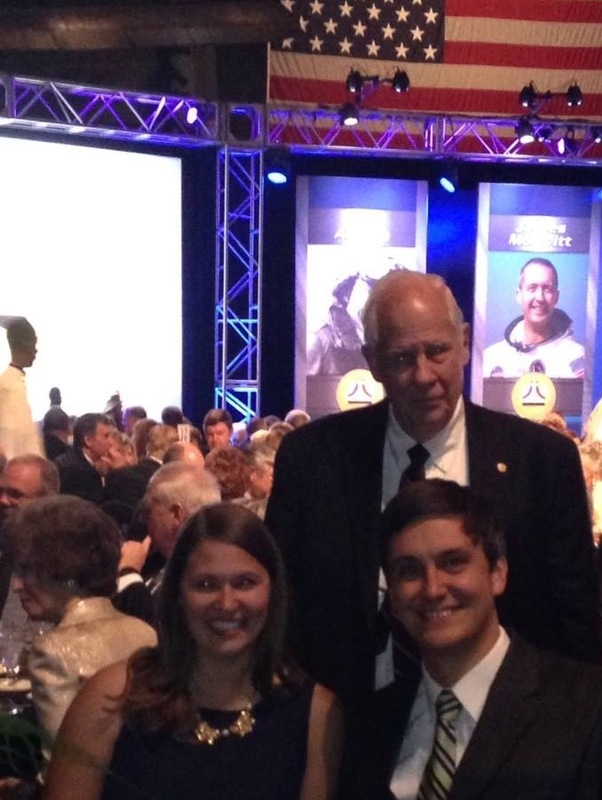 Reason #3 to Eat Greek: The educational opportunities. You’ll get a sensational preview to WinterPromise’s Children Around the World themed program. 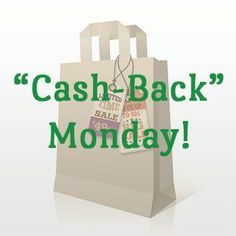 And that’s the purpose of this post today! 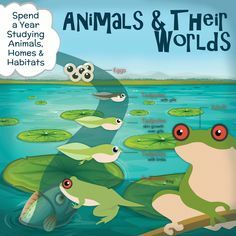 Children Around the World is a geography and culture program for 2nd through 6th graders. The program features Cultural Gatherings to help your student learn about the food, music, entertainment, and other traditions of thirty countries around the world. 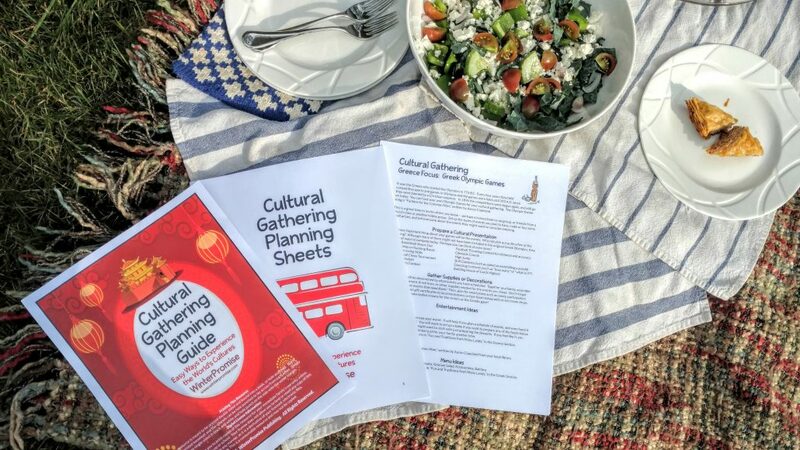 The Cultural Gathering Planning Guide has a few pages featuring each of the thirty countries, and these pages include a cultural focus, tips for the cultural presentation, suggested supplies and decorations, entertainment ideas, a suggested menu, and more. The Greece focus is the Greek Olympic Games, which again, makes this a perfect activity for you to do this summer! 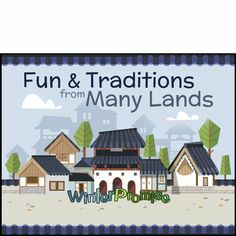 The resource book called Fun & Traditions from Many Lands contains a plethora of multicultural activities that your student can reference when planning the Cultural Gatherings. 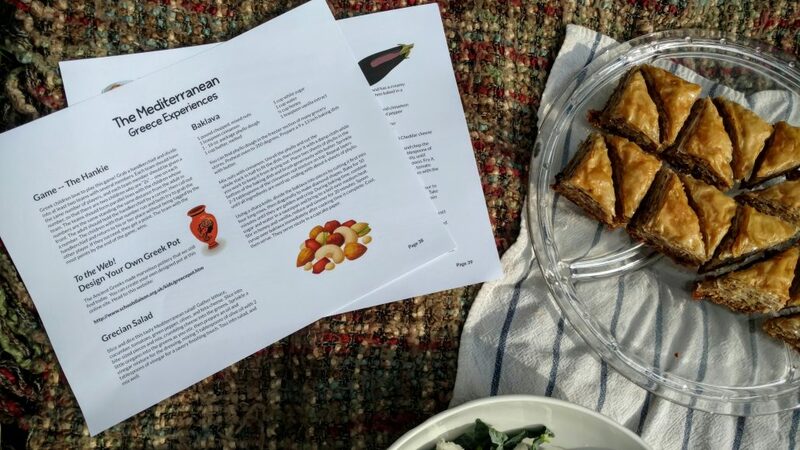 The pages about Greece feature a game, an online activity to design Greek pottery, and four Greek recipes. 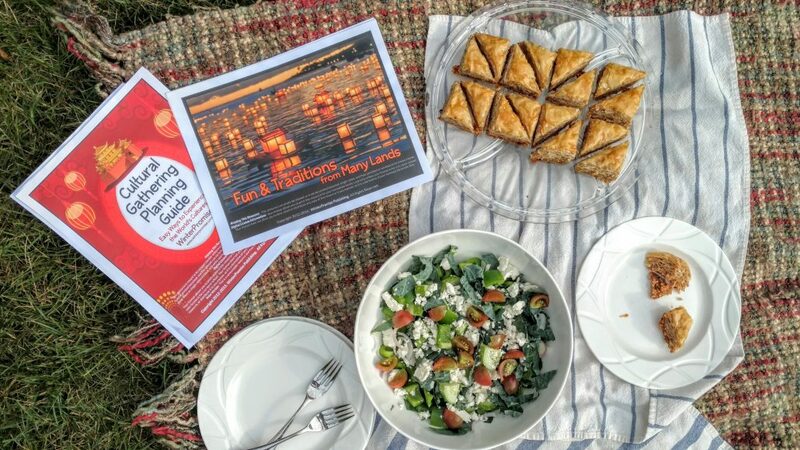 I chose to make the Moussaka, a Grecian Salad, and the sweet, scrumptious, luscious, lovely Baklava. Make one layer at a time. 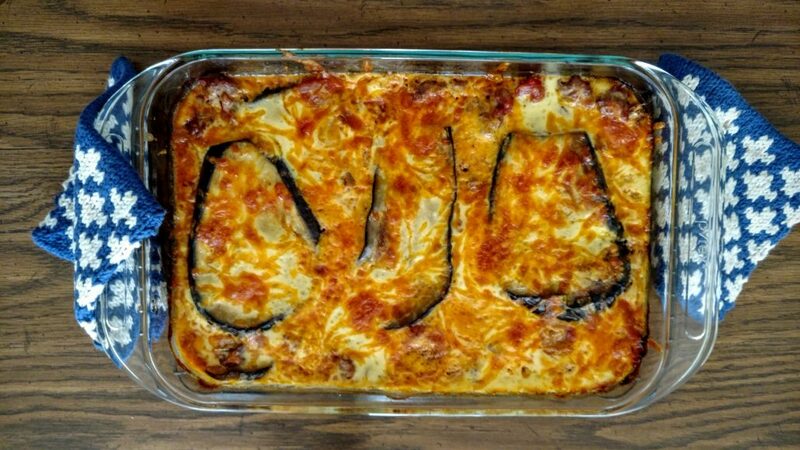 I had three burners going at once to simmer the meat mixture, fry the eggplant, and make the topping. However, your student will find it a lot easier to focus on one part at a time. If you don’t want to use lamb, feel free to substitute beef. However, I was actually surprised that the ground lamb at my grocery store was not much more expensive than the beef I usually buy. Use a smaller dish than I did. I used a 13”x9” pan, and I thought the Moussaka was a little thin, so use a smaller dish, if you have one. Be sure to serve a Greek salad with the Moussaka. My Greek salad had kale, tomatoes, cucumber, green pepper, feta cheese, and a simple vinaigrette with olive oil, red wine vinegar, oregano, salt, and pepper. Olives would have taken this salad to another level! Be gentle with the phyllo dough, but don’t stress. 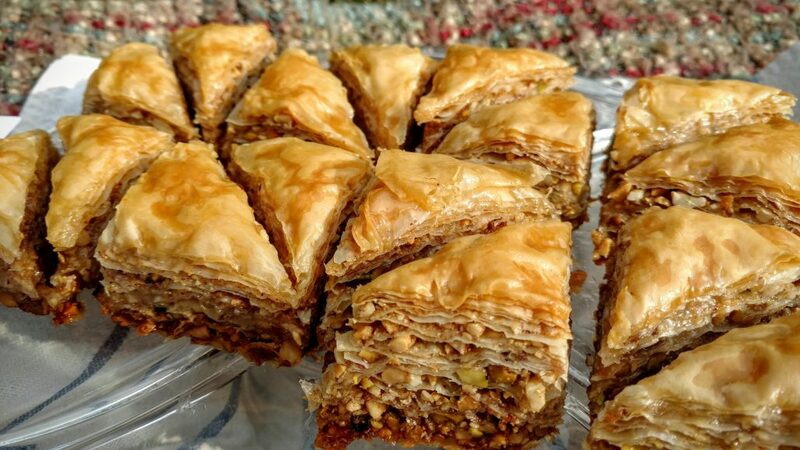 If the phyllo tears or is wrinkly or crinkly, your baklava will still turn out glorious. Be sure to have an adult help with cutting the baklava. 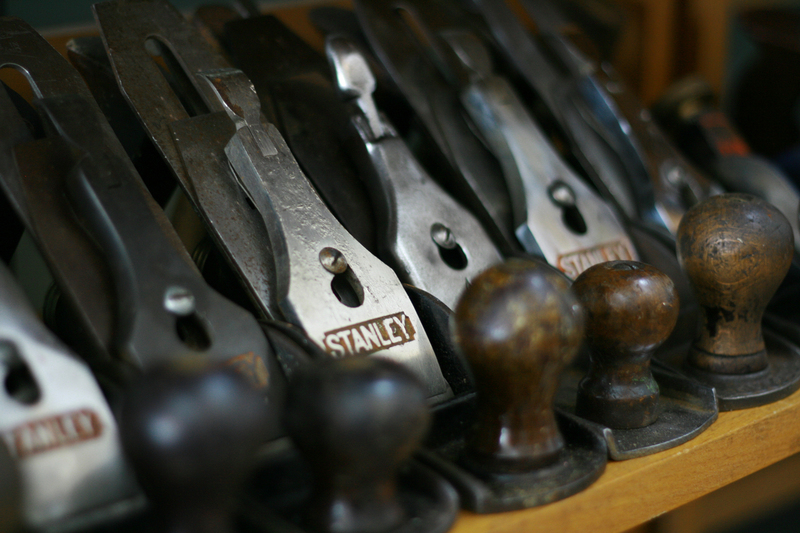 You need a really sharp knife to cut through all the layers neatly. 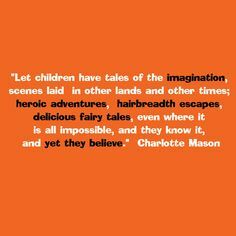 To learn more about Children Around the World click here for more information. There are 29 other countries to be explored! 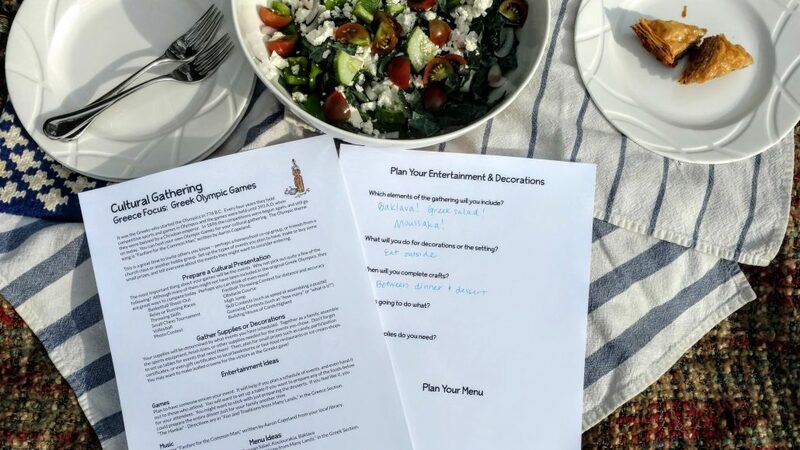 Now, go give the recipes a try, have a Greek feast, and be sure to tell us how it goes. 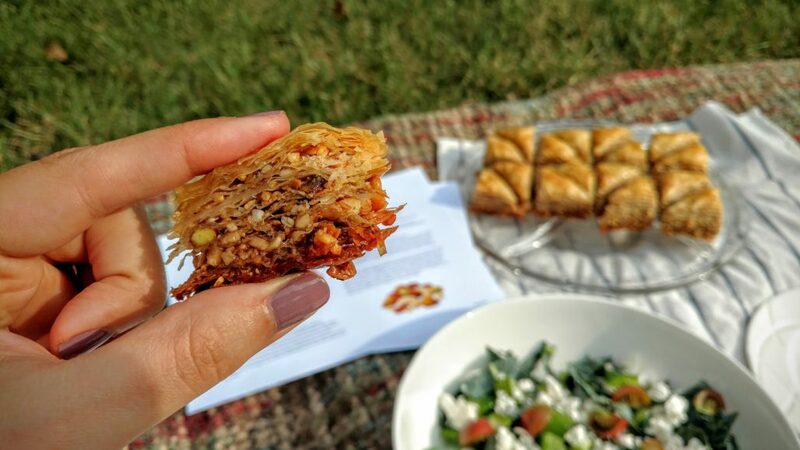 Baklava is dangerously delicious, so be sure share it with someone you love. Opa! I’ve sailed on the great waters of Lake Erie and Lake Michigan since I was a toddler. I competed in (and won) a 24-hour long sailboat race through thunderstorms and dead calms. I grew up hearing my grandpa’s stories about serving in the US Air Force; he told about war times, hunting hurricanes, and earning a purple heart. 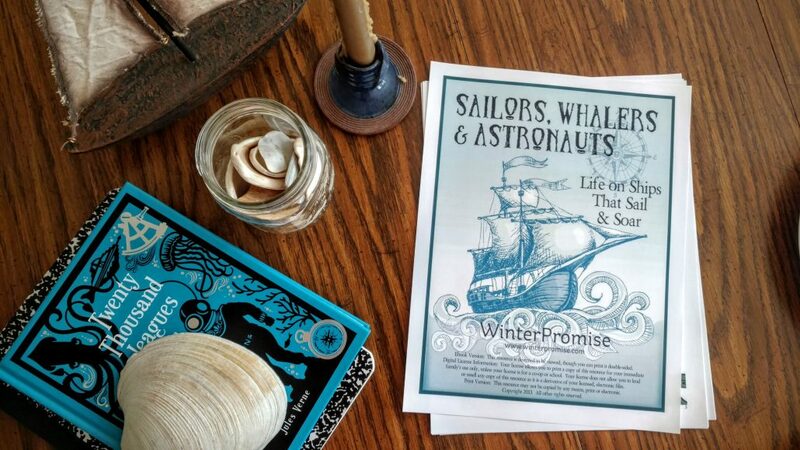 But today, I cannot be more excited to tell you about the adventures that await you and your family in Winter Promise’s Adventures in the Sea and Sky. 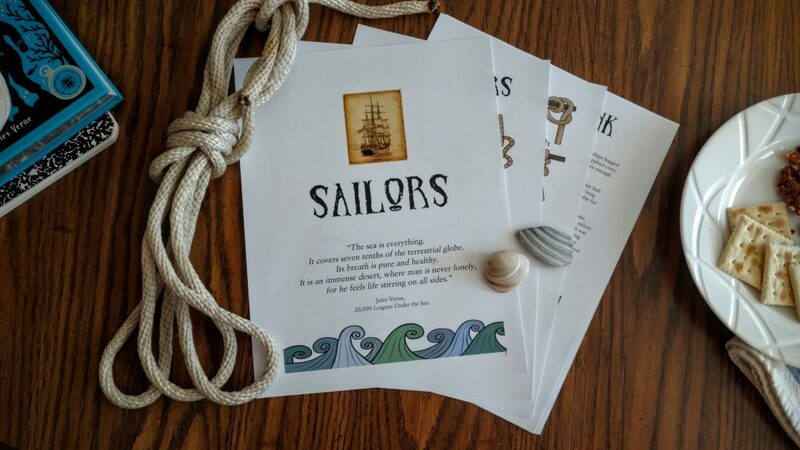 As I dipped my toes into the gorgeously illustrated and masterfully written curriculum, my first stop was the activity book Sailors, Whalers, and Astronauts: Life on Ships that Sail and Soar. 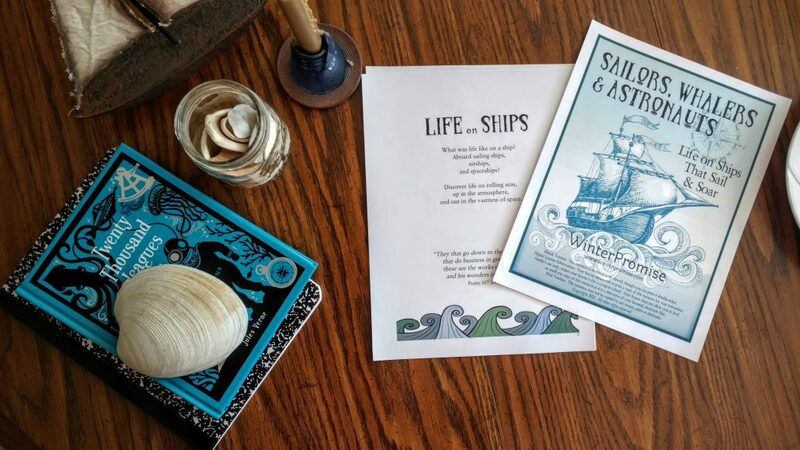 For someone who’s dreamt about sailing around the world, activities regarding “life on ships that sail” seemed like the perfect maiden voyage for me. 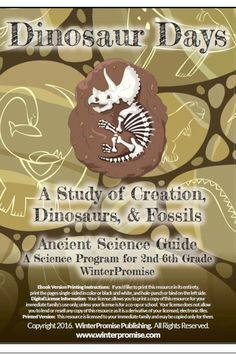 Adventures in the Sea and Sky is a one year history and science program for 3rd through 9th graders. 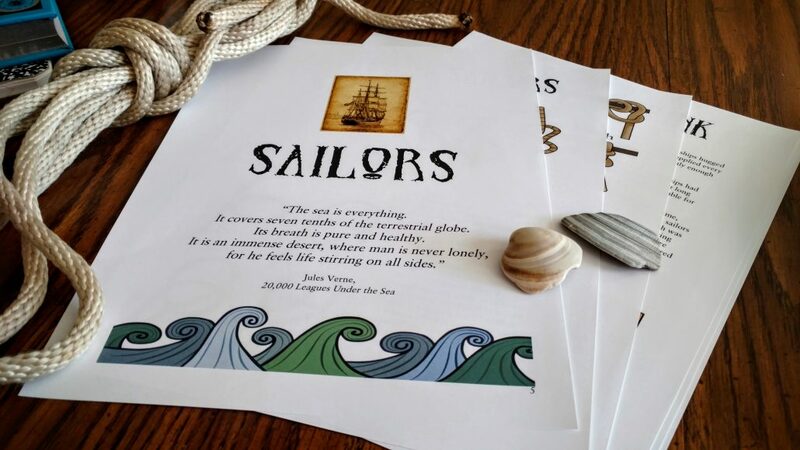 One of the resources included in this themed curriculum is the 90-page activity book called Sailors, Whalers, and Astronauts: Life on Ships that Sail and Soar. 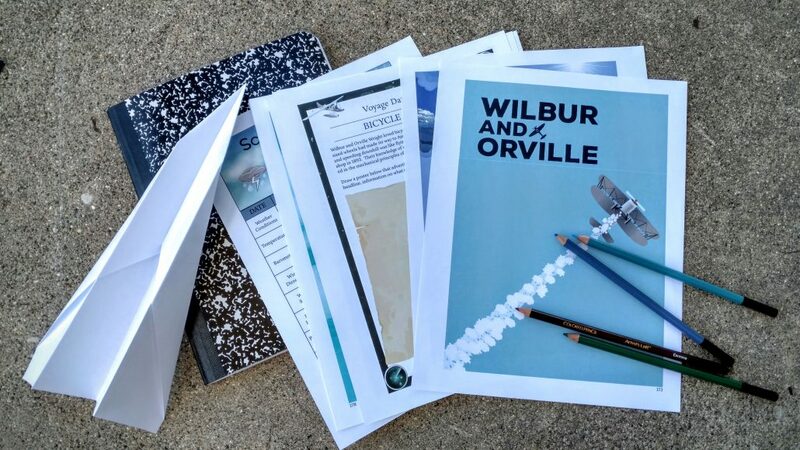 If it sounds like 30-year-old me is geeking-out over this curriculum, you better believe that 3rd grade me would be even more thrilled to learn history and science through the eyes of sailors, whalers, and astronauts. 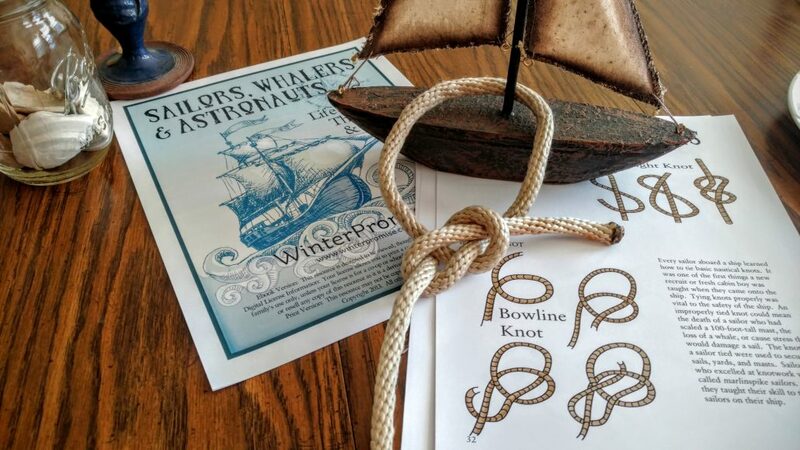 The first activity that caught my eye in Sailors, Whalers, and Astronauts was “Knots Used by Sailors” (pages 32 and 33). Why did it catch my eye? Because I already consider myself somewhat of a knot nerd, and I knew I wouldn’t let you down with my knot-tying skills! 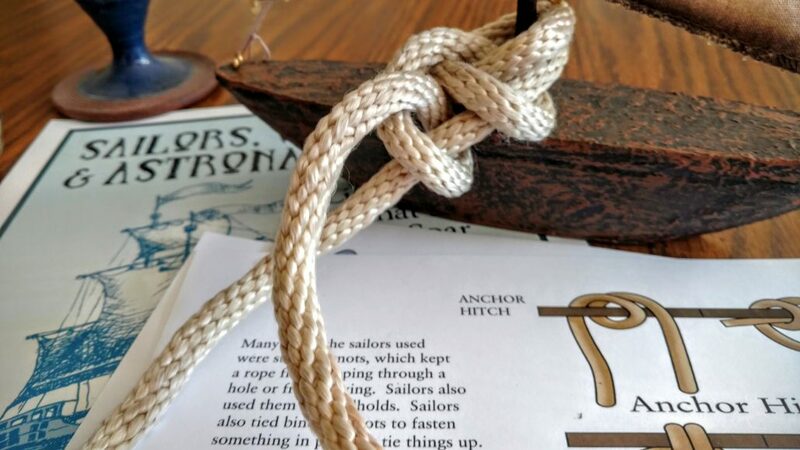 The two page activity has diagrams of a few knots as well as an explanation of why knots are important to sailors. 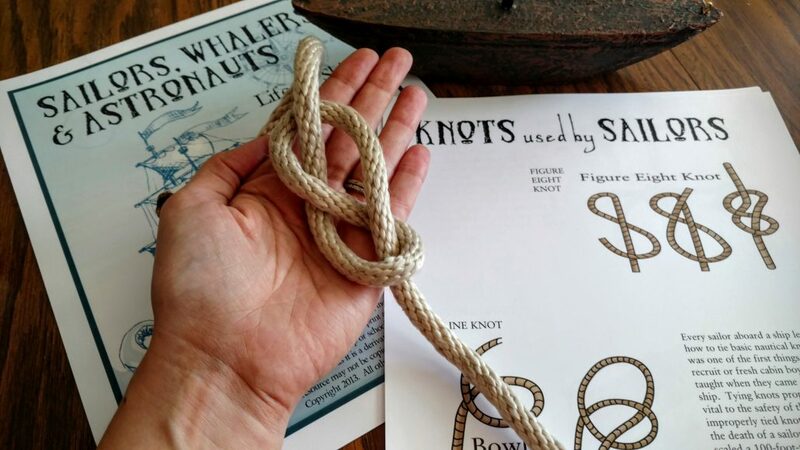 The Adventures in the Sea and Sky guide has recommended websites for more knot exploration including steps to tie a nautical rug and more nautical knots (page 127). I also highly recommend searching for videos online as they’re extremely helpful to watch while learning to tie knots. 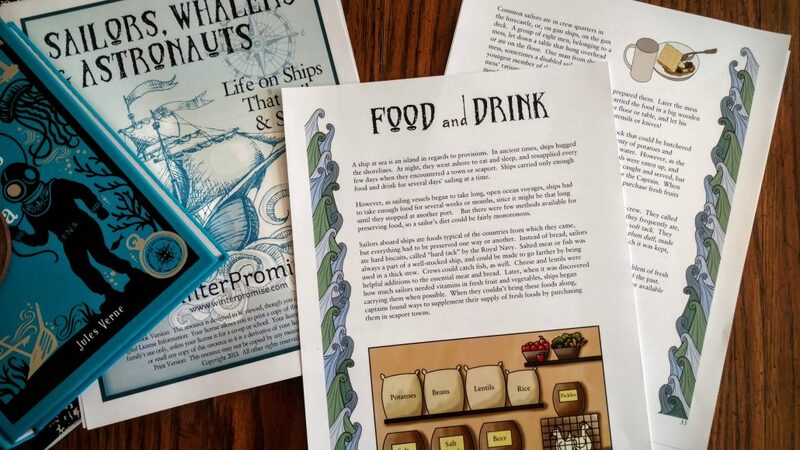 When knot tying made me a little hungry, I decided to whip up a snack from the “Food and Drink” activity on pages 34 through 37 of Sailors, Whalers, and Astronauts. 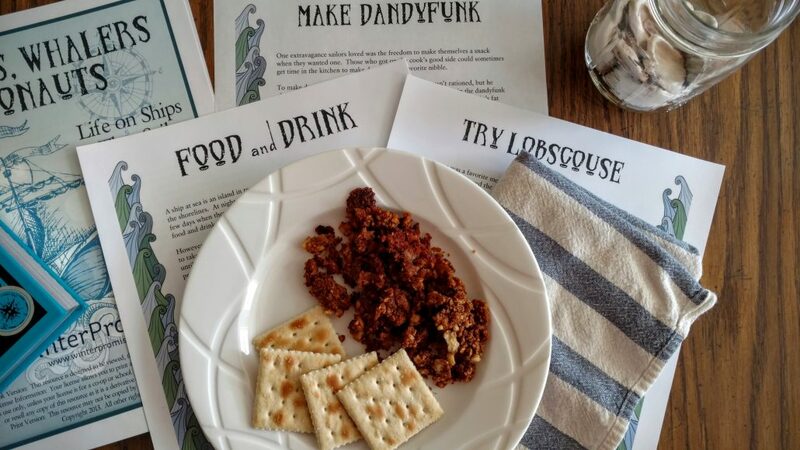 After a couple pages explaining the food and drink of sailors, your learner can try his or her hand at making dandyfunk or lobscouse. These dishes were completely foreign to me, but I knew they couldn’t be too hard to make, especially considering I’d be cooking in my kitchen, as opposed to a cramped, constantly swaying galley on a ship. So, I chose to make some dandyfunk. Yes, dandyfunk is what it’s called! I already had most of the ingredients, so it really was quite simple to make. I’d describe dandyfunk as more funky, than dandy, however I’m positive you’ll have fun making it. 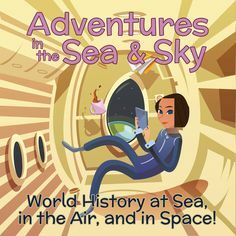 Want more info about Adventures in the Sea and Sky? Check out all the details and an exciting video here. Smooth sailing to you all, until we meet again! Have you ever seen the bicycles that have more than one seat? Big families sometimes use them if younger kids need to be able to keep up with the rest of the family. These bicycles have two, three or even four seats sometimes! All four seats can pedal to help, but often the younger ones in the family get tired before the rest, which is why they are attached to the parent. The parent bears the burden of pedaling even when the other riders get tired. They have a lot to bear. That burden is a normal, healthy burden. Now imagine that on that family bike ride, Mom is pulling 3 younger children on her bike. That’s a lot of riders! Mom has the responsibility to make sure her children can keep up with Dad and her older children. While they are biking though, Mom decides to go up a hill when she could have gone around it. She also decides to move the gears on the bike up, so that the pedaling becomes difficult, and then decides to deflate her tires a little. Would Mom be able to keep up? Would she get tired? 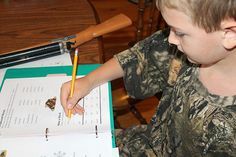 This is an illustration of how some Homeschool Moms operate while homeschooling. They already have the huge responsibility of making sure that their household runs well and that their children flourish in their education. But those are not the only burdens that Moms tend to bear. There are other things that are added to their plate. 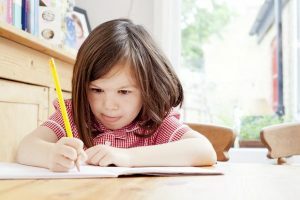 Perfectionism – Requiring personal perfection when it comes to homeschooling, parenting, or homemaking. Weariness – Moms have so much to do, and a myriad of demands placed upon them, which means that being exhausted will weigh them down. 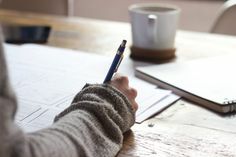 Personal Expectations – This goes along with perfectionism. Moms place so many expectations upon themselves that sometimes they can be unreasonable. Moms bear the burden of their own expectations, which so often are not met. Financial Stress – This is one burden that so many deal with. Money is a large piece of what we stress about. We are often burdened with worries of money. This is just a short list of what could be weighing you down. If you let some of these things begin to “pile” up on you, then you will burn out very quickly. There are some things that we need to worry about. There are some things that we need to be responsible for which can lead to worry. But there are also things that we don’t need to burden ourselves with, but we do anyway! Next time we will talk about putting everything in its proper place. 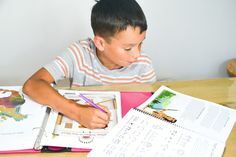 This will allow you to put aside stress and worry that is wearing you down and affecting your ability to be a Homeschool Mom. What this can lead to is frustration, or even feelings of inadequacy. But maybe you do not feel this at all! Maybe you know exactly how, the expectations we put on ourselves because of Pinterest, are not fair. But if you do struggle with this then keep reading! 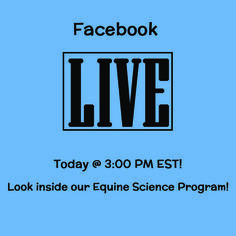 Today we are going to talk about how to properly think about Pinterest and how to effectively use it. 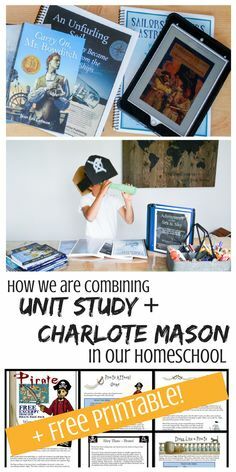 This is not an encyclopedic article on every possible way to use Pinterest, but we will try to give some good advice and let you take it from there! 1. Think of Pinterest as a piece of the puzzle and not the whole puzzle. Pinterest uses pictures to help you find ideas. We are visual creatures when it comes to the internet. Anything that is visually striking catches our eye. The temptation then, is that when we see an amazing project, all we see is how perfect it is. We see it in its isolated environment on Pinterest. We only see it in all its glory! Which means, when you go to setup that amazing organizational chart in your kitchen, it doesn’t quite look as perfect as what Pinterest seems to show. The reason is, because your emotions are impacted by so many things in your life! 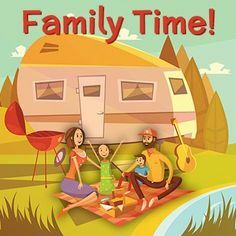 The cleanliness of your house, the mood you are in, the way your children are acting are all part of how you feel about something. If you feel a little overwhelmed, the organizational chart won’t be as impressive. Your Pinterest project is just one piece of a very big puzzle. Pinterest ONLY shows the perfect project that solves just one problem. 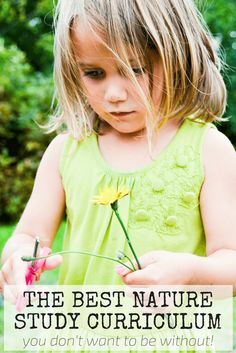 Pinterest ONLY shows one amazing picture of everything working in harmony for one moment. Long enough to get a great picture! Your life is so much more than one picture, and in real life things aren’t Pinterest Perfect. Understand that one Pinterest project will not make you feel good about everything else going on in your life. 2. Look at Pinterest for SPECIFIC NEEDS. Isn’t that what most of us do? Yes, but what tends to happen is that we look at all that Pinterest has to offer and we start to wish all of our lives should look like Pinterest. We get caught up in the world of Pinterest and compare our world to it. This can lead to a lot of frustration! Instead, think about Pinterest in a very specific sense. Persevere mentally! Only look for specific needs and more importantly, only compare what you have done with that specific need. Pinterest is a great tool but you should never compare your whole life to Pinterest. Take on small piece and see if anyone else has had an idea and pinned it for that very specific need. 3. Spend enough time on Pinterest to enjoy it, but not enough to be controlled by it. This principle could be used for any social media channel. We are too often controlled by something and not often enough in control. 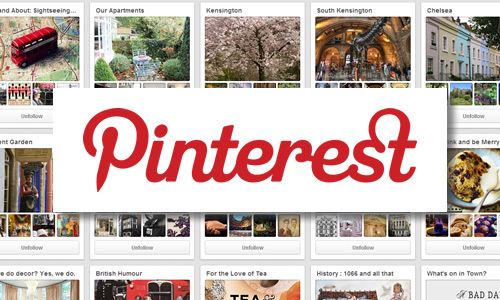 Make sure you understand Pinterest and the very specific role it fills. It is not a standard whereby you measure yourself against the vastness of the internet, but a tool to help you solve specific problems.